Often I have to remind myself that the reason I have bounced around to 8 barns in the area is not because I am that boarder.. Or at least I hope not. Two of the barns closed down entirely while I was there, two I left because they were either no longer a good fit for either myself or my horse, and the other three I left because the care was less than acceptable. It’s a long wishlist, and still there’s plenty else I’d probably add to the list in due time. We all have horror stories. Horses losing tons of weight, unnoticed blood running down legs, barn management trying to ride your horse… you get the deal. What are your priorities in a boarding barn? What are your must haves, and what are you willing to compromise on? My priorities are on horse care & horse happiness. I’m willing to compromise on training, facilities, etc… but luckily right now I board with a good mix of everything. Like you said though, nothing is perfect! Agreed! I am such a worrier, I NEED to know that my horse is well taken care of above all else! That is the reason I left the last barn- I honestly felt like I had to check on him every day in order to make sure he was alright. Definitely not a good aspect in a boarding barn! I hope that was one of the “don’t board here” barns on my list lol!!! I haven’t boarded in years since I own my own place (and am starting to board). I don’t have rings really, which is #1 on the list of future improvements, but I do pride myself in taking care of all the boarders as if they are my own. No drama is a big deal with me. Boarding for the first time after growing up with horses in the back yard was definitely an adjustment at first! It’s always a relief to find a barn manager who cares about the horses- and I bet your boarders really appreciate that! I’m pretty lucky in that I have boarded my horses with the same barn for a really, really long time. And I haven’t even been there the longest! The one thing the place is lacking in is pasture–we have dry lot turnouts instead. I make up for it by hand grazing my horse frequently. 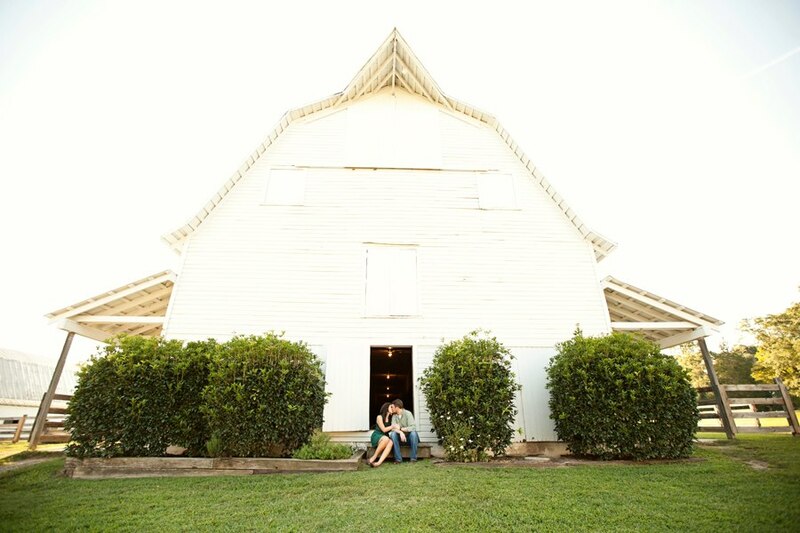 I recently found an excellent barn which meets all of our (Kenna and I) standards. My favourite part is that it’s simply a barn where you board and ride. You can have your trainer come and coach you as long as you have your horse there but it isn’t a lesson barn where there are people that just go to take lessons. I like the scenario you describe as well, having a coach come to me rather than being at a barn where the boarder horses become lesson horses. The girl who broke her collarbone sounds like she learned that lesson the hard way! Ouch! i have yet to make any decisions about my own boarding situation – but the place where my lease mare lives ticks off a lot of my biggies. i think the care is great (i should hope so, since i work there too haha), the horses are happy, and i can’t argue with the proximity (definitely a biggie for me too). the riding facilities tho… really not great. our 100’x200′ arena is definitely mediocre at best… and can’t be used for 3 months out of the year. plus we have to share with all the many lesson kiddos and trainers. I admit, I’m not great about sharing the ring with kiddos. Trying to school canter lengthenings in an arena where chaos, nerves, and lack of steering rule (depending on the age of the kids of course) is just a tough situation! I know that I won’t be 100% happy until my horses are at home. I have moved quite a bit for some of the same reasons as you. The only thing I used to be more flexible on is driving distance (some of the most wonderful barns I’ve ever seen are about 1 hour south of my house) but the drive exhausts me and makes me crabby. So even though I’ve tried twice to board farther away from home, it never sticks. I just hate driving. That was the reason I left the beautiful barn in the pictures, after getting a job a bit further away I was driving almost an hour to get to the barn, which put my total driving time per day at around 3 hrs. I understand why driving that far is hard- it just burns you out to be in a car that much! I’d like to own my own place with unlimited budget so I could customize everything to what I want hahaha! There is a farm around my area that has two indoor arenas, but suffers and lacks in quality care, management, and quality feeds. It seems difficult to find one that has all. Personally when I worked a stable the most rewarding aspect was having the young riders and the more experienced riders together. Each brings something new to the table. One day I’ll have my own ranch and it will be perfect. Until then, its about finding an adequate balance of all the needs and wants. I gotta say, I’m pretty in love with the barn we’re at right now, I’m glad Addy’s owner picked it! The horses come first there 100% of the time, no questions asked- they have quite a few older horses that still go around happily since they get great care. The adults have all been super nice, the lesson kids are usually gone by the time I get there after work, and we have a nice big indoor! I do wish we had a slightly larger outdoor to use, but the one we have has great footing and we can still fit a couple jumps, so I can’t really complain there. I absolutely love the barn I board Miles at. Like any place, there are minor issues that crop up now and again, but by and large it’s fantastic. The three things that make it amazing are the well-maintained and ample facilities, the knowledgeable staff (who are very kind and always willing to help!) and the great boarders. I’ve definitely been blessed with finding an awesome boarding barn!! That’s awesome to have Miles at such a great place. As you pointed out- I think the people make almost as much of a difference as the facilities themselves!